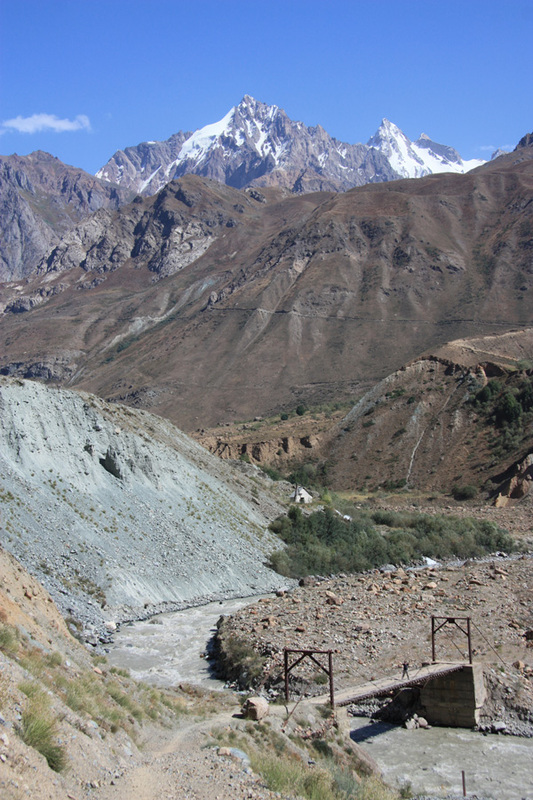 The Pamirs offer striking contrasts – the Eastern Pamirs are high altitudes deserts with softened peaks and bare expanses. The Western Pamirs, on the other hand, are much more rugged with mountain pinacles, steep-sided valleys and hardly any flat terrain. Until 30 years ago, fertile soils would produce trees and lush vegetation in these valleys but the civil war caused severe hardship for the local population and most of the trees were felled for firewood. Its only through recent eco-conservation projects that trees have returned. 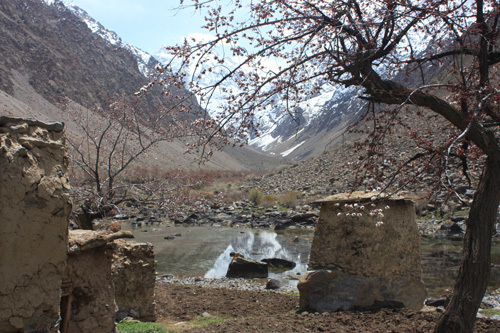 The Shokh Dara Valley – this is the southern-most valley before the Wakhan and it joins the Panj at Khorog, the same point as the Gunt. Above Roshtkala, the river features a number of rapids, gorges and waterfalls and also has legacy forests demonstrating a very different aspect to the region. A number of treking routes can be followed to traverse into the adjoining valleys of the Wakhan or Gunt offering outstanding views on route. 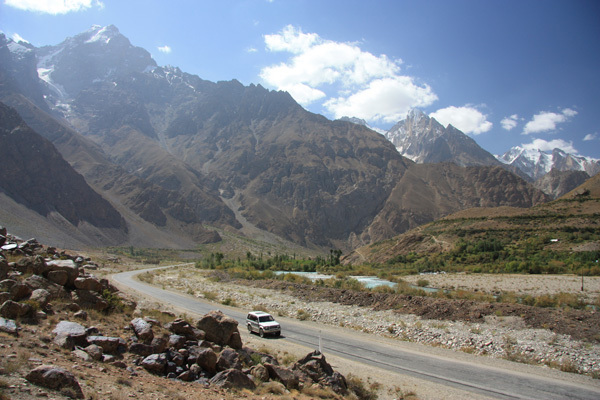 The Gunt Valley – this valley is important as the route for continuing on the main M41 Pamir Highway from Khorog to Murghab. Khorog is the main capital for Gorno-Badakhshan Autonomous Oblast (GBAO) and it offers restaurants, internet cafes, a lively market and a beautiful park. It also offers the second highest botanical garden in the world (although you may have to climb over the wall to gain access, as the gate is frequently unmanned. 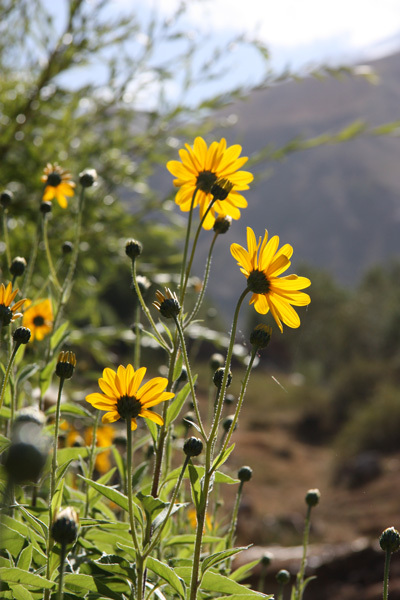 The gardens are theoretically open throughout the year). The Bartang Valley – The Bartang is part of the longest river system in Gorno-Badakhshan, finishing at Roshan (where it joins the Panj) and starting as the Aksu in the far south east (Shaymak) and passing through Murghab and Lake Sarez (a 60km lake that was created by an earthquake and subsequent landslide in 1911). Until the soviet era, travel up the Bartang involved ladders, wooden platforms and ‘ovrings’ (swinging baskets attached to the rock face) – its a very narrow valley with vertical cliffs on either side in a number of places! Now, its possible to negotiate the entire valley up to Karakul by use of a good 4×4 vehicle. Bartang people are extremely hospitable and have lively traditions of musical performance and dancing. Due to the inaccessibility of the Bartang, the anthropological mix is perhaps at its most unusual and Caucasian origin blond and red-haired children can be seen playing with children of clearly more Mongolic origin. The Vanj Valley – The Vanj is the most northerly of the great valleys and extends north-east, almost straight for 100km up to the Fedchenko Glacier (the longest glacier in the world, outside of the polar regions). 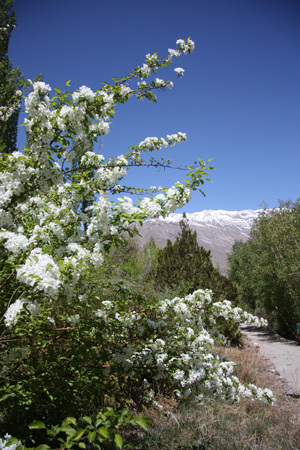 The valley provides the best access to the Academy of Science Range which is centred around Tajikistan’s highest peak, Ismoli Somoni Peak – 7495m. This range is part of the Tajik National Park and access requires permits that can be arranged through Pamir Highway Adventure guides. The range offers excellent trekking, glacial-trekking and mountaineering opportunities. Valley floors in this region are 2000-3000m altitude and tourists should take the opportunity to acclimatise, over a couple of days, prior to ascending to the Eastern Pamir high plateau.